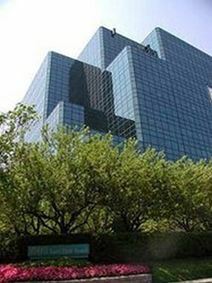 This business centre offers easy and convenient transport access in Schaumburg. Virtual offices are offered and come with a range of facilities such as meeting rooms, the latest in internet technology and telephony, mail services and excellent remote reception staff. Service space offered close to the West Side of Route 53 and the I-290 near to the International Airport. This facility is offers the latest technology, friendly reception staff and a grand lobby entrance area. The offices are fully furnished and include videoconference facilities and many admin services. It also includes many different office configurations to suit the needs of the professional. Offices to let at this Golden Corridor near Roselle Road at the I-90 junction, offering less than as 30 min drive to the International Airport via the tollway. This facility is close to the Woodfield Mall and to nearby restaurants. The building houses plenty of exterior and interior offices offering various amenities such as fantastic views and privacy. The regional transportation networks are both extensive and highly convenient. An exclusive and highly prestigious contemporary business center in this premier location, a vibrant suburb of Illinois, is close to the downtown area and to the Airport. The toll offers easy transport to clients and other guests and also offers convenience to many nearby shopping amenities. The offices feature the latest internet ant conference facilities with answering services and parking facilities. These fantastic offices are located in this excellent suburban vicinity offers easy transport access into the downtown area and the International Airport. There are lots of nearby restaurants, a shopping mall, local leisure activities and many hotels. These offices offer various size configurations and come with the latest technology, 5 meeting rooms that can accommodate large groups. The facility also includes many admin and secretarial services to assist with the needs of the professional.